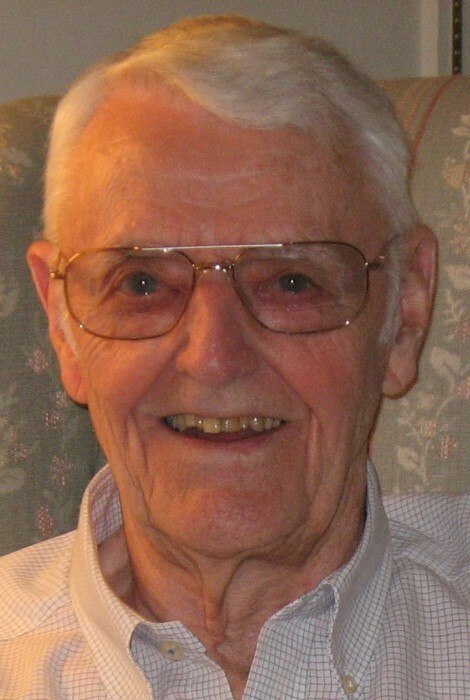 William "Bill" G. Hauger, Jr.
Cincinnati: William G. Hauger Jr., 92, formerly of Boardman passed away on Friday, March 2, 2018 at Hospice of Cincinnati Blue Ash with his loving family by his side. Family and friends may call on Saturday, March 10, 2018 from 11 am to noon at Thompson Filicky Funeral Home, 4221 Market Street in Boardman, with memorial service to follow with Reverend Kelsey Orosan officiating. William, known as “Bill” was born March 12, 1925 in Somerset, Pennsylvania, the son of the late William G. and Dean (Bowlby) Hauger Sr. He was a veteran, serving in the Army Air Corps Force during World War II. Bill worked for John Fithian Contracting Company in Boardman for over 30 years, retiring in 1987. He was a member of Trinity United Methodist Church, in Youngstown before moving to Cincinnati. Bill is survived by two children, Douglas C. (Nina) Hauger of Coconut Creek, Florida, and Debra D. McManus of Cincinnati; a granddaughter, Tiffany L. (Jose) Figueroa of Margate, Florida; and a great grandson, Maximus Figueroa. Besides his parents, Bill was preceded in death by his wife of 67 years, the former Mabel G. Gahagan, whom he married on January 17, 1947, died January 4, 2015; and his son-in-law, Tim McManus. In lieu of flowers, the family requests that material tributes take the form of contributions to Hospice of Cincinnatti, 4310 Cooper Road, Cincinnatti, Ohio 45242 in memory of Bill. Please visit www.thompsonfh1932.com website to view this notice and send condolences to the family.